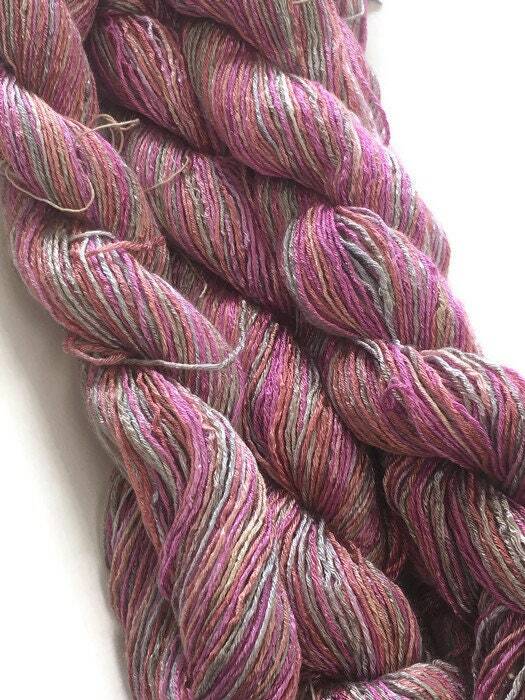 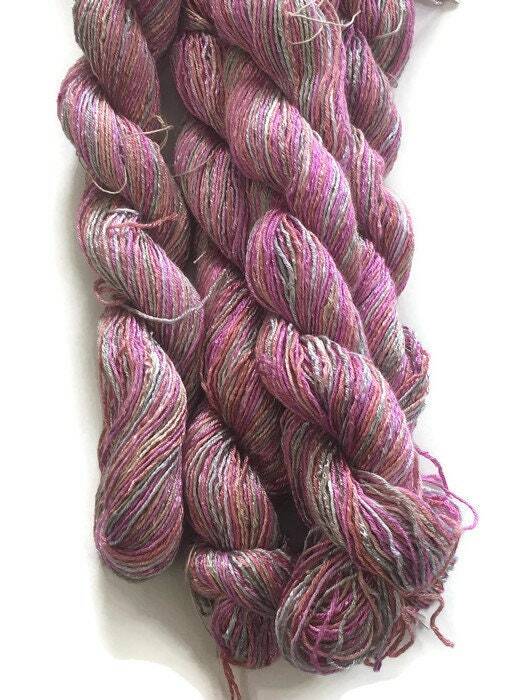 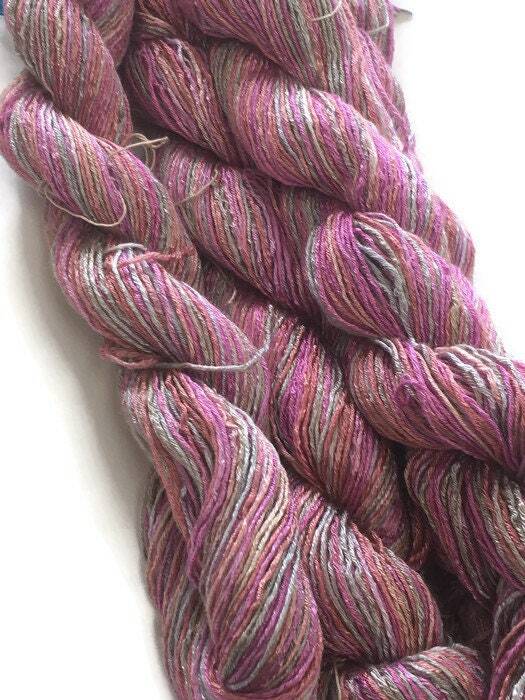 This yarn is a hand-dyed 6-ply rayon floss. 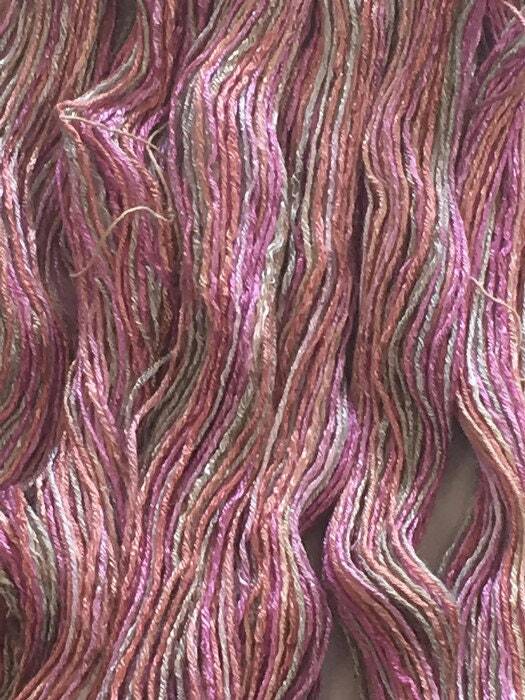 The colors are deep pink, salmon, peach, light gray, and gray. 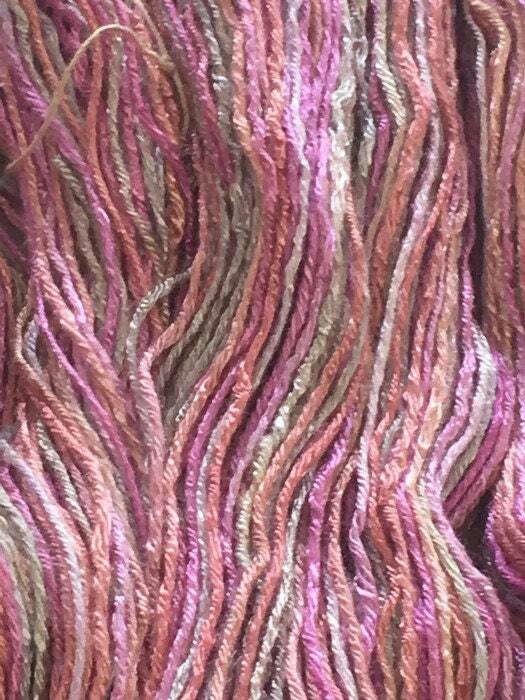 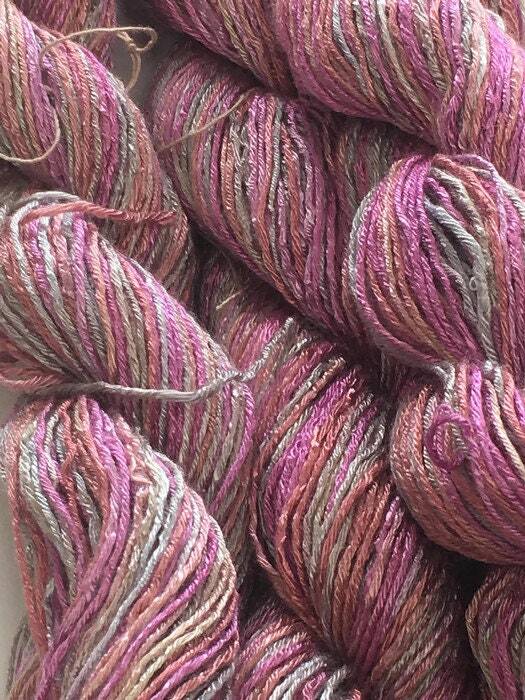 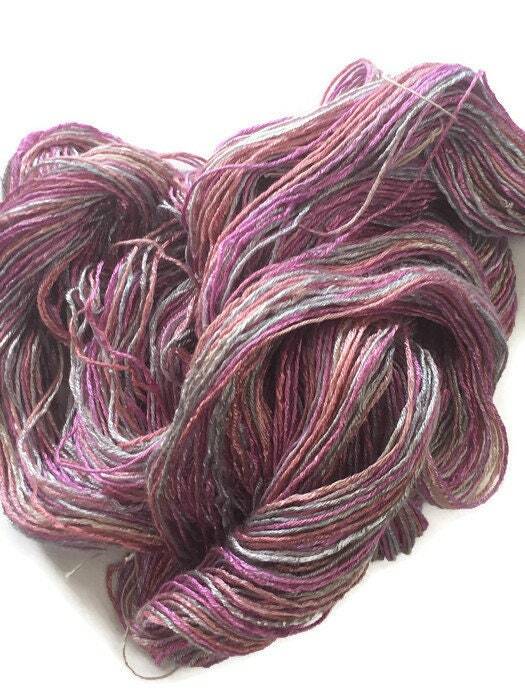 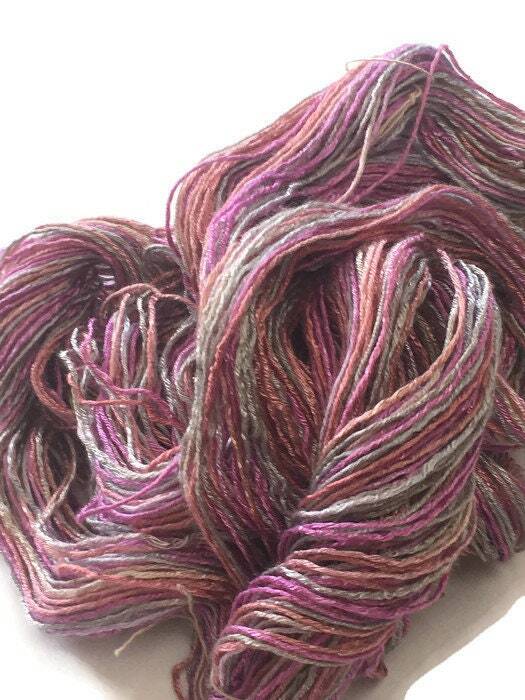 This is a kinda soft yarn with some shimmer. 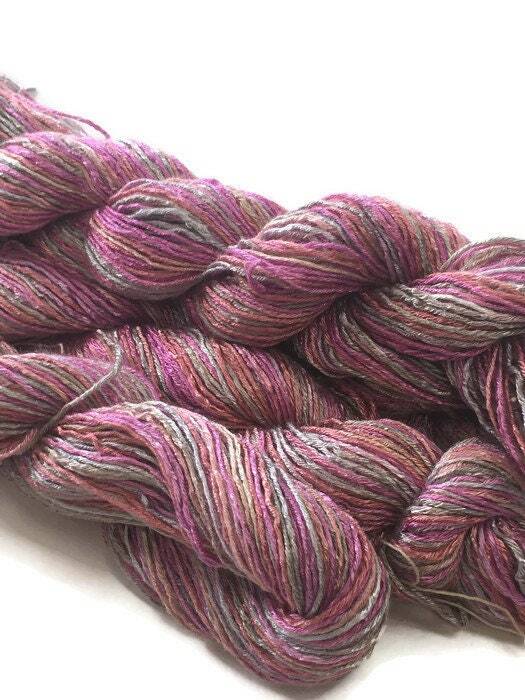 Each skein is 200 yards and weighs approximately 1.6 ounces. 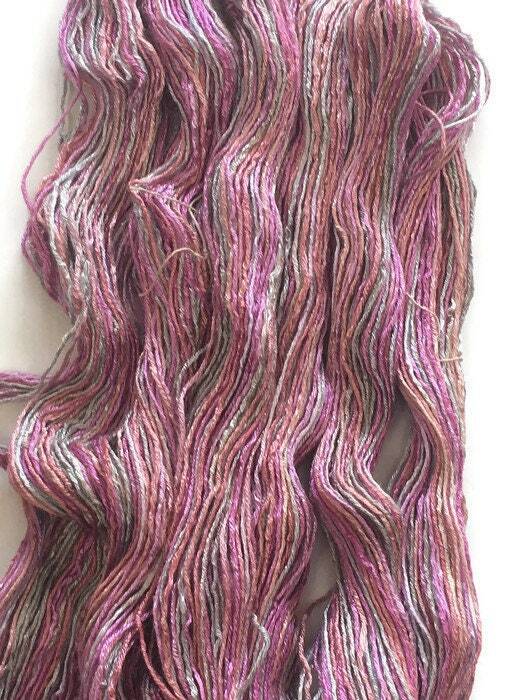 This yarn wraps at 18 wraps per inch.